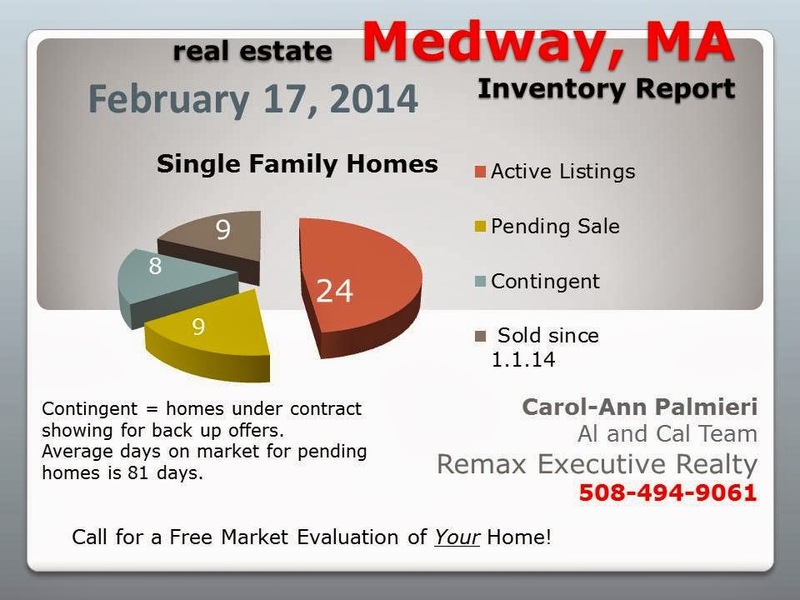 If you are wondering what is happening in the Franklin MA real estate market, a quick glance at the graph below paints the picture. Homes are moving quickly. Inventory is low. It's good news for homeowners with an average 4.4 percent rise in home values since last year. Predictions are that the trend will continue, but at a lower rate. There are currently 11 properties on the market priced below $300,000. The average price per square foot is $204. You can expect about 1260 square feet of living space. $300,000 and $500,000. As of right now, there are 12 homes available in this range. The average price per square foot is $197. Expect to find Cape and Colonial style homes and new construction is even an option. There are 9 listings priced between $500,000 and $750,000. Average price per square foot is $195. Expect to find resale and new construction in this range. There are 8 listings over $750,000. The average price per square foot is $240. Expect new construction and custom resale homes. 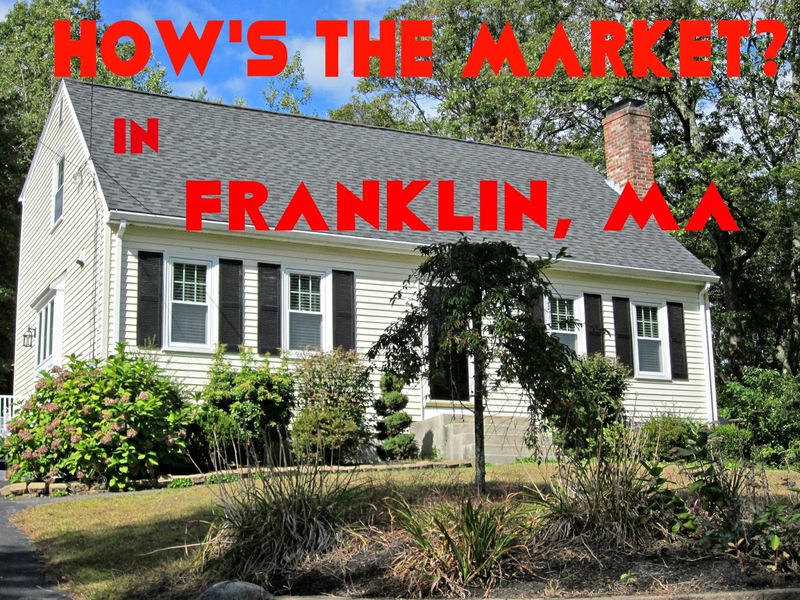 Buyers continue to find Franklin very desirable. Why not? With a recent news report suggesting that Franklin is the nation's safest city, who wouldn't consider the community to be their families home base? 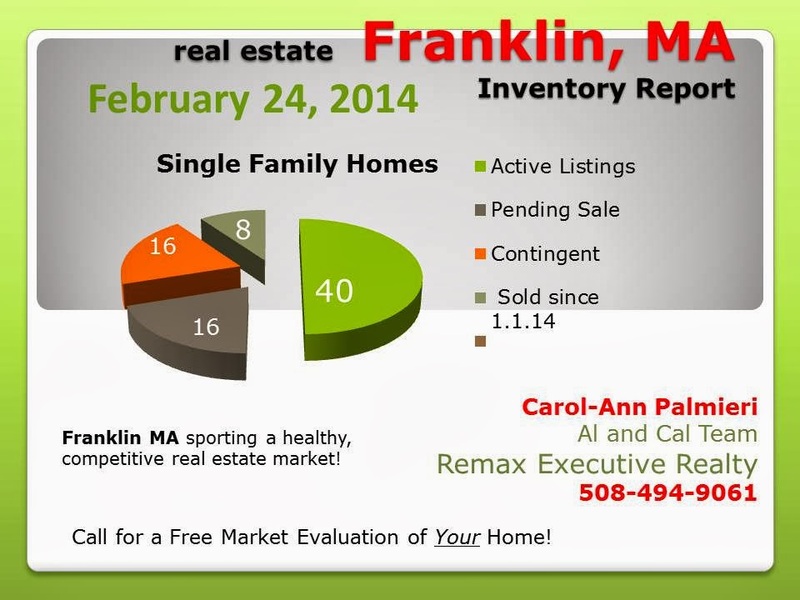 If you are considering buying a home in Franklin, MA, don't sit on the sidelines for too long. Start actively looking now. The "spring market" has already commenced and is just going to get more competitive. 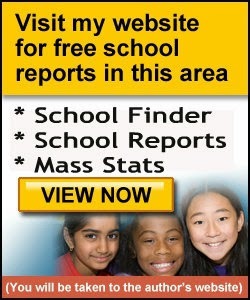 Visit my website to search for homes in Franklin MA or to be notified when Franklin homes come on the market. 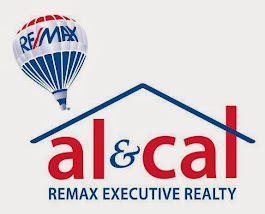 To find out what your home is worth in the current market email me cal@alandcal.com or call 508-494-9061. A great local real estate agent is your best offense in negotiating the market. Regardless of what side of the fence you find yourself on, you need an agent knows the market and the neighborhoods inside and out. 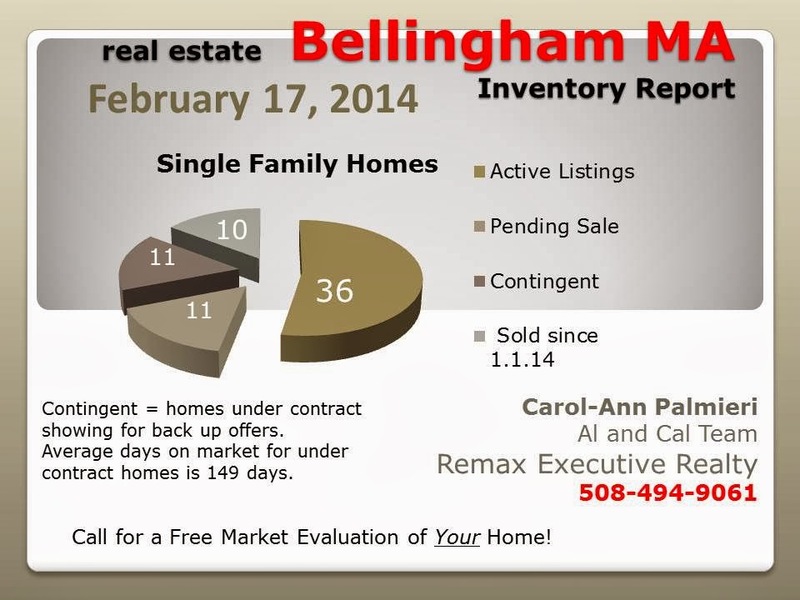 Good news for single family homeowners in Bellingham MA with a favorable 10 percent increase over the past year. Zillow indicators predict the rise will continue over the next year, but at a lower rate of approximately 3.2 percent. Since Jan 1, 2014 there have been 10 home sales. The average sale price of $298,430 was roughly 98 percent of asking. Several of the bank involved properties and new construction inventory tend to make average days on market seem longer than it actually is. Homes that are priced right and presented properly are receiving acceptable offers in a few short weeks of being placed for sale. Since the beginning of this year, 15 of the 22 pending /contingent homes were priced below $300,000. This suggests that the first time buyer market is picking up and the Bellingham market has leveled off; returning to a more healthy state. 4 of the 22 homes were priced above $400,000. This higher end in Bellingham is still slanting in the buyers favor, but moving, if priced appropriately. 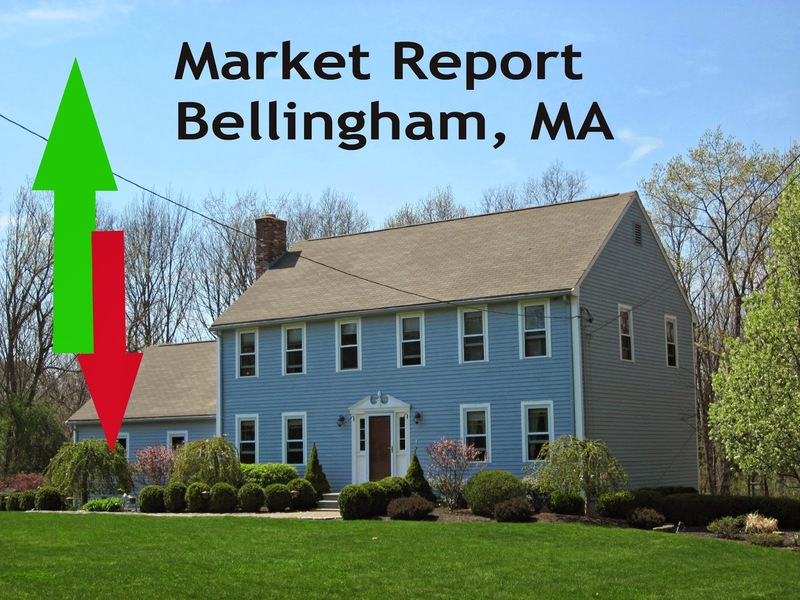 If you are considering buying a home in Bellingham, MA you don't want to sit on the sidelines for too long. Many listings are going under contract within a short time of being placed on the market. There are currently 5 single family homes that are priced between $100,000 and $200,000. The average price per square foot of these homes is $142. They have an average time on market of 68 days. 2 of these homes have lender involvement and 3 have been on the market for less than a month. 17 homes are available between the range of $200,000 and $300,000. The average price per square foot is $159. You can expect to find ranch, split entry, multi, cape and antique style homes in this range. 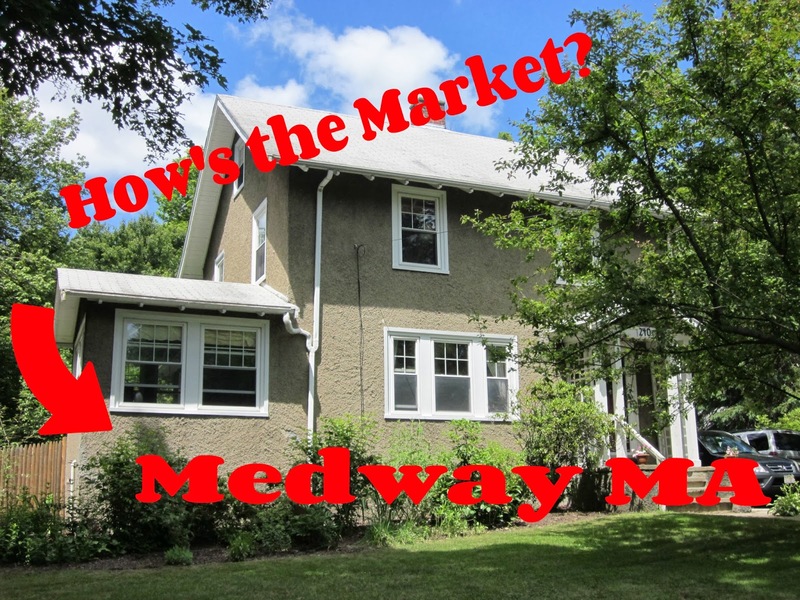 The average days on market is 106, with 5 of these homes being under two weeks to the market. 2 of these homes have lender involvement. There are 3 homes priced between $300,000 and $400,000, including one that is to be built. In the range of $400,000 to $600,000 you will find 11 homes. These range from 2200 to 4500 square feet including several new homes to choose from. Visit my website to search for homes in Bellingham MA or to be notified when Bellingham homes come on the market.